DMIST Research Ltd is a spin-out company from the School of Electrical and Electronic Engineering of the world renowned University of Manchester in the United Kingdom. The company was formed to commercialise innovative image processing technology developed by Dr John Oakley and his colleagues. In 2003 DMIST was featured on BBC’s Tomorrows World. Later that year the business won a SMART grant in recognition of its innovative application of the technology to recover the quality of video images that had been subject to environmental fogging due to mist, rain or smoke. The SMART grant allowed further development of the ClearVue unit which was then successfully put through field trials with Manchester Airport, the Ministry of Defence and the BBC Outside Broadcast Unit. The business has received further inward investment from regional Venture Capital companies who were excited by the potential of the technology. These funds are being used to continue the development of ClearVue and to accelerate the commercialisation of the product into the key target markets of surveillance, outside broadcast and transport. 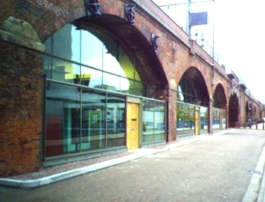 The business is located on the North Campus of the University of Manchester and although a separate commercial entity, it enjoys the advantage of proximity to the resource and facilities of a major university and its attendant centre of technological excellence. Dmist Research is a specialist supplier of unique technology for the real-time video enhancement under adverse conditions – poor weather, poor illumination. © Copyright 2013 by Dmist Research. All Rights Reserved.